Our flexible, standalone DVR server that lets you schedule and watch recordings anywhere. The brain for Channels Plus. Channels DVR Server runs on your computer or NAS device at home. There's no cloud to worry about. Your recordings and shows will always be available. Simply install Channels DVR Server on a device and Channels will magically see it from any TV or device you own. As a Channels Plus subscriber, your first step is to simply install Channels DVR Server to let it power your new TV watching experience. Installs on virtually any device. With minimum requirements of 1GHz CPU and 1GB RAM, it doesn't take a fast computer to run Channels DVR Server. Find an old computer and connect a big hard drive to it. You'll be running a DVR at home in minutes. The service runs on port 8089, and has a web interface available at http://localhost:8089 for configuration. Change your Energy Saver preference to "Prevent computer from sleeping" to ensure the DVR does not miss any recordings. 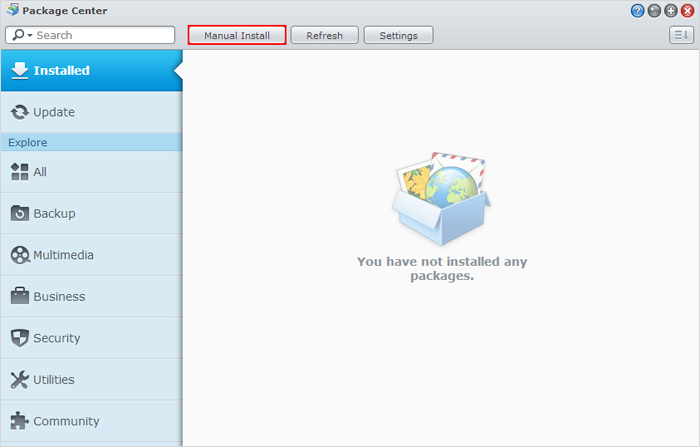 Run the installer again if you need to stop or uninstall Channels DVR Server. Channels DVR Server can be installed on versions of Windows 7, 8 and 10. Channels DVR Server does not require administrator privileges, and installs into c:\ProgramData\ChannelsDVR. The first time it runs, the Windows Firewall may ask for Administrator privileges to allow private network access. The service starts up automatically on login. Run netplwiz.exe to enable auto login and ensure the service is always running after a reboot. Computers with modern NVidia or Intel HD Graphics cards can automatically utilize hardware accelerated transcoding. Use the Intel Driver Update Utility to make sure your drivers are up to date. We recommend the 64-bit version of Windows for optimal performance, but a 32-bit installer is also available. Channels DVR Server can be installed on Linux or FreeBSD by running a simple script. The setup script will create a channels-dvr directory in the current directory and download Channels DVR Server there. It will then detect if your linux distribution uses systemd, upstart or init.d, and will install the appropriate startup script. The script may ask for sudo access during this process. We recommend that you run the setup script in your home directory as your own user so Channels DVR Server is installed into ~/channels-dvr. If you have an Intel processor, make sure you add your user to the video group so the Channels DVR Server transcoder can use /dev/dri for hardware acceleration: sudo adduser $(id -u -n) video. If your / and /home mounts have limited space or i/o-throughput (for example, when using an SD card with the Raspberry Pi), install Channels DVR Server on an externally mounted USB HDD instead. Bonjour (aka zeroconf) is used by the Channels apps to automatically discover your DVR on your network. If you have a firewall, ensure that port 5353 is whitelisted for TCP/UDP access. 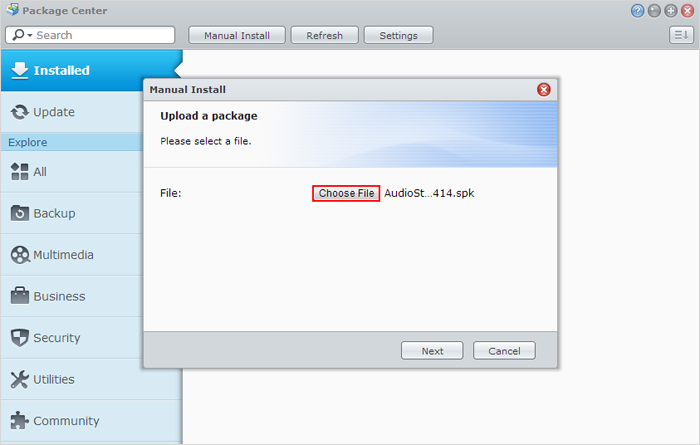 Channels DVR Server can be installed by uploading our software into the Synology DSM Package Center. For more information, see the DSM Documentation. Channels DVR Server can be installed by uploading our software into the QNAP App Center. For more information, see the QNAP App Center documentation. QTS 4.2.0 or higher is required. To make sure your DVR recordings start on time, go to Control Panel > General Settings > Time and change Time interval to every 6 hours. The service runs on port 8089. QNAP's Virtualization Station also uses port 8089 and will cause the installation of Channels DVR Server to fail. Please disable Virtualization Station if you have installed it, or change its settings to use a different port than 8089. Channels DVR Server can be installed by uploading our software into the Apps tab. The single-drive WDMyCloud and WDMyCloudMirror (Gen1) are not compatible with Channels DVR Server. For more information, see the WDMyCloud documentation. Channels DVR Server can be installed by uploading our software into the ReadyNAS Apps interface. ReadyNAS OS 6.2 is required. For more information, see this tutorial. NAS OS 4.2 is required. For more information, see the NAS OS documentation. Channels DVR Server can be installed on the Docker tab using a template repository. unRAID v6 is required. For more information, see the unRAID documentation. Channels DVR Server can be installed by uploading this plugin to your FreeNAS. FreeNAS 9.10 or newer is required. Channels DVR Server can be installed by uploading our software into Asustor App Central. To enable hardware transcoding, you may need to install the Asustor ffmpeg package. Channels DVR Server can be installed on the NVidia SHIELD from the Google Play store. SHIELD Experience 5.1 or higher is required. Channels DVR Server can be installed on the Drobo 5N. Install the app by copying it to the Drobo Apps share. To do this, use Drobo Dashboard to map the Drobo Apps share on your host, then copy the file to the root directory of the Drobo Apps share. Once the package is copied, you must reboot the Drobo to install it or issue /usr/bin/DroboApps.sh install via an SSH console. Channels DVR Server can be run as a Docker container. The --net=host option is required for the Channels apps to discovery your DVR via Bonjour. Neither Docker for Mac nor Docker for Windows support --net=host. When running on these platforms, you'll have to connect to Channels DVR Server by IP address from Channels. You can do this in the Settings tab of the Channels Apps.